Ensure smart elegance – every time. 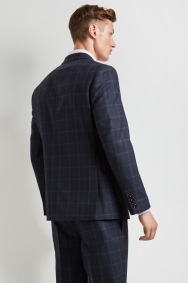 This tailored fit blue windowpane jacket from Hardy Amies is ideal for the busy working week or more formal occasions. 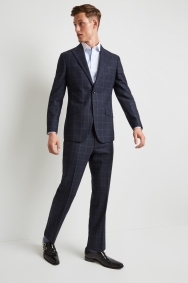 It combines a subtle windowpane pattern with sharp tailoring for style, and it’s crafted from 100% wool woven in Italy for a top-quality finish. 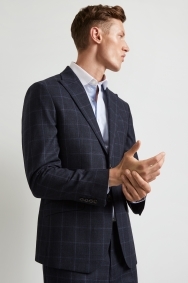 Because it’s made in a versatile blue fabric, this jacket is easy to style. 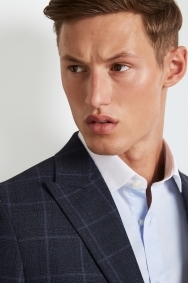 For a business-ready look, wear it with a crisp white shirt and the matching trousers. Got a special occasion? 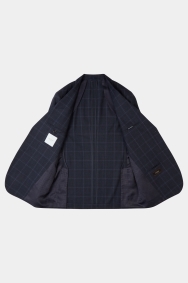 Dress it up with a colourful silk tie and pocket square.